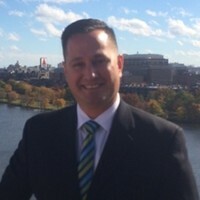 Eric DiNoto is a Certified E-Learning Instructor at Northeastern University's College of Professional Studies. DiNoto joined the Northeastern University team in 2015 as he continues to serve on active duty with the United States military. He brings over 30 years of military, homeland security, and emergency management knowledge and experience to the program. DiNoto is a combat veteran with tours in both Iraq and Afghanistan. He serves as a senior advisor of a national homeland security executive education program. He brings a real-time, practitioner's perspective to the program. He is a member of Northeastern University's Sigma Epsilon Rho Honor Society, the honorable Order of the Sword and Shield, and one of the first graduates of the Northeastern University's Master of Arts in Homeland Security program.